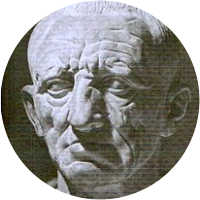 A collection of the best Cato quotations. Oft ill diseases spring from trivial pleasure. He approaches nearest to the gods who knows how to be silent, even though he is in the right. I prefer to strive in bravery with the bravest, rather than in wealth with the richest, or in greed with the greediest. I think the first virtue is to restrain the tongue; a man approaches nearest to the gods who knows how to be silent, even though he is in the right. Wise men profit more by fools, than fools by wise men; for a wise man avoids the faults of fools, but that fool would not imitate the good example of a wise man.